Green Tea / 60 Vcaps - Nature's Way®. Green Tea extract is standardized to 95% polyphenols. 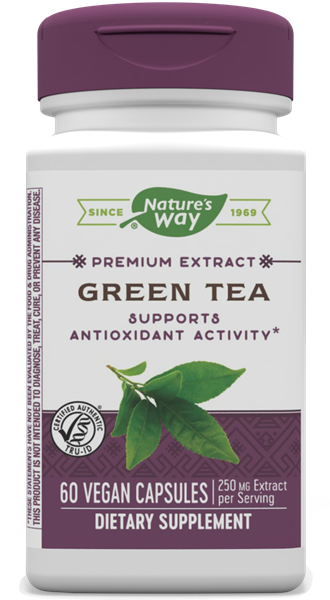 Nature's Way Green Tea extract is guaranteed to contain 75% total catechins. Caution: Do not use if sensitive to caffeine. Not recommended for use by pregnant or nursing women or by children under 18 years of age. If taking any medications, consult a healthcare professional before use.